In a recent article, I discussed the very necessary role trust plays in the teacher/student relationship – and how an attempt to "test" your teacher would necessarily be contrary to the terms of that relationship. 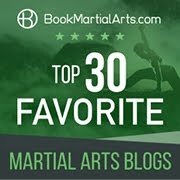 "I think this is one of the edges that something like BJJ has over things like karate in terms of the prevalence of good practitioners - and one of the reasons why we have so much bad karate. Some newbie goes into a BJJ class, he'll lose - and if he doesn't, then the people there don't know what they're doing. It's a cut and dry test. If he's interested, he can fairly easily find strong people to train with. Some newbie goes into a karate class, where's their standard of proof? I'd suggest an easier way to approach it is the same way you'd approach other sports... If you get the newbie up there doing some light sparring with one of your students, and the newbie's winning, then that to my mind raises some serious questions..."
My first point would be to observe that the correspondent is talking more about the need for more practical, transparent "hands-on" material in defence-oriented karate and less about "testing the teacher". But the correspondent nonetheless raises a valid question: How can a beginner know whether he or she is being "taken for a ride" by a school teaching nonsensical or inefficient techniques/methods? And why wouldn't "testing your teacher" be one way of answering this question? Let me first define what I mean by "testing your teacher" (as opposed to "testing the material" – more on the latter in a minute). By this expression, I mean challenging the teacher's authority. This can take the form of continual, sceptical questioning, sneaky "tests" launched when the teacher's guard is down, "muscling" the teacher during a limited drill (in order to "show that the drill doesn't work") or any number of other examples. I want to make it perfectly clear that I do not subscribe to any sort of "slavish adherence" or other blind trust in a "guru". Quite the opposite. I believe that students must have an inquiring mind at all times. However as I've said, this is quite different from trying to "test" a person whom you purportedly call "teacher". The former is a mindset the pursues knowledge but has prima facie trust in a particular teacher in relation to whom there are reasonable, objective grounds for assuming a sufficient authority. The latter is indicative of a prima facie distrust in relation to a particular teacher – in which case the title "teacher" is not really appropriate vis a vis the student. I strongly believe that you should be satisfied as to the veracity of the material you are being taught. However if you find that you're increasingly coming to the view that you disagree with your teacher, you really have no business continuing to call yourself the student of that particular teacher. Clearly you are on separate paths. In my view, if you are trying to "test" your teacher, this is less a reflection of an inquiring mind and more a function of your ego. Why do I say this? I think that if you suspect that the teacher is wrong in what he or she is teaching, the fair and honest thing to do is discuss the matter privately with the teacher. If the teacher fails to allay your concerns, then you must leave. This makes sense. Sticking around and trying to "test" your teacher in class makes no sense at all. It implies a very different motivation – to "prove" something in a way that diminishes the teacher's standing while simultaneously boosting your own. As I have previously discussed, this is (for want of a better term) an act of aggression. And such an act is only justified (in logic – not morality!) where it is a regrettable necessity. I have to think through some pretty long-winded, extreme and outlandish examples before I can conceive of one that meets this criterion. "Teaching him or her a lesson" does not constitute such a regrettable necessity. Nor does "protecting the other students" (except in the case where your action will directly prevent some injury or other abuse). In such cases, the "reason" offered for the challenge is really just a justification offered after the fact. The primary motivation is something else entirely (ie. ego): If you think you can stop every mentalist, charlatan or peddler of bull***t, then you're just "swatting mosquitoes at a barbecue"; your time would be better spent doing something else. You can't stop all the charlatans of this world. You can't even make a decent start. by being informed and maintaining an inquiring mind. What this necessarily means is that the student must be prepared to test the material (as opposed to the teacher). To me, testing the material is just a function of "keeping it real". By contrast, testing the "teacher" is overly focussed on the physical ability of one person in the school – at one particular point in time. Now it is, of course, true that the teacher's physical performance can be directly relevant to your evaluation of a particular school. You can be sceptical of a teacher who, while speaking of health and fitness, has appalling conditioning; you can be sceptical of a teacher who, while speaking of combat effectiveness, cannot demonstrate anything (except against "zombie attackers" who step forward and pause while he or she slaps them around); you can be sceptical of a teacher who, while speaking of his or her "abilities", never partners off with the students for anything other than the aforesaid "zombie demonstration". Does what the instructor's material accord with common sense or does it require some level of suspension of disbelief? Does the teacher demonstrate or does he or she rely almost exclusively on description and tales of "days gone by"/previous exploits? When it comes to demonstrations, are you being distracted from the obvious (eg. that attacks against the teacher are never in anything other than "zombie mode") or is the teacher being honest about limitations in the demonstration format? How much of what the teacher does in demonstration is calculated to "impress" you – and how much is necessary to teach you the relevant concepts? Is the amount of force applied in demonstrations evidence of a sadistic egoism or is it just enough to "keep things real" and safe at the same time? Can you really see yourself being able to apply the material, if not immediately then at least one day in the future? How much of what the instructor teaches seems, on an objective analysis, to be honest? If, upon undertaking an assessment along the above lines, a teacher fails to meet prima facie standards of credibility, the resulting scepticism is, I think, clearly reasonable. In such a situation I find it hard to imagine any need for a further "test" of the teacher's skill/knowledge. Any such "test" (be it in the form of questions that "put him or her on the spot" or some sort of sparring) would, in my experience be of limited applicability to the data and is likely to be motivated by something other than an "inquiring mind". Note that I don't consider questions sincerely and respectfully asked and answered as a "test": this is just part and parcel of having an inquiring student and diligent teacher. It is self-evident that unlike sports or other activities, civilian defence is not easily "tested" (at least in a complete, determinative way). For example a tennis player can easily "test" his or her coach via game because they can both do the full activity - playing tennis. By contrast, you could only truly "test" your martial arts teacher if you were prepared to inflict (or have inflicted upon you) serious injury. Otherwise you would be testing something subtly, but significantly, different - how you both compare in a sparring match with specific rules, for instance. 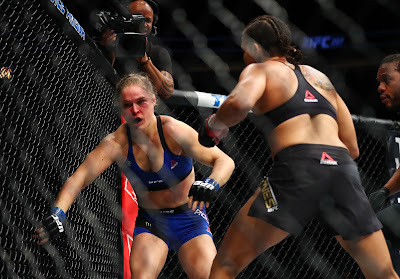 Brute force is a much bigger factor in fighting than it ever is in any sport. If you're looking to a teacher for knowledge and skill, you might do so even if you are 8 feet tall and he or she is 4 feet tall. Ditto if he or she is twice your age or is now in a wheelchair. Furthermore, as I've stated, you might not even be aware of other limiting circumstances – injury, disability, illness... Heck, the teacher might just be "going easy" on you during sparring (that has certainly happened to me – much to my later, over-confident, surprise!). Despite any contrary impressions of your own your own worth, you might be a very poor reference point for testing your teacher's skills: I've certainly had people try to "test" me when they were actually hopeless. What kind of indicator do you provide if you don't even have basic coordination, strength and fitness? Even if you are coordinated, strong and fit, you might just lack the necessary skill for the particular activity, eg. groundwork. In that environment, even a poorly trained (but experienced) person might easily beat you on the mat, leaving you to assume that their knowledge was sound. Meanwhile, down the road a school is teaching ground skills that make this school look like a joke. For the reasons referred to above, your teacher isn't who (or rather, what) you should be testing anyway. You should be testing the material. So if you want to use sparring as a testing measure of the skills you're being taught, you should at least spar against a variety of different people, be they students of, or external to, the school – not just the teacher. Leaving all this aside, it is true that sparring can give you some idea of the teacher's skill – and of the value of the skill set. It is just important to note that this is very different from some sort of determinative "test". Basically, there are a multitude of factors that you should consider to ascertain whether the teacher is "bogus" or whether his or her school meets your needs (whether in relation to "fighting" or in a more general sense). 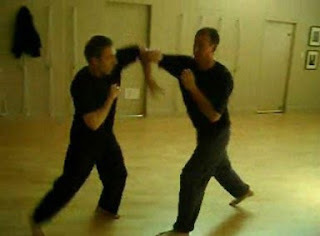 If your focus for training is application of the skills in a martial sense, you need to consider the environment in which you want to apply them. If you are wanting to develop combat sports technique, then you will need to test the skills appropriately in practically each class. 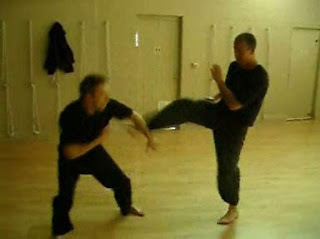 If you are wanting to develop skills for civilian defence, you will be unable to apply the techniques as literally as the art requires (it isn't really possible to simulate an eye gouge, for example) but you will nonetheless be able to apply them in as realistic a fashion as safety permits. and so on. In short, it means testing the material in a logical and methodical way. Part of training honestly and sensibly is understanding this: you can't leap straight from beginner status to full "testing" of the material. You can't make things "as real as possible" (never mind "totally real") in every respect from day one – or even on day 1,000. If you want safety in training, the extent of "realism" must, necessarily, increase gradually. For example, I insist on correct direction from the very first lesson. You must never punch "off line". You must always aim directly at your target. Aiming to miss is a very bad habit that is hard to break. After direction, I insist on correct distancing. I've had good friends who were accomplished at "tag fighting" default to punching short when attacked for real (particularly head punches) – with disastrous results. And from my own experience, I can also tell you that once (as a beginner) I kicked towards an attacker's head with insufficient penetration (and, to be truthful, to one side!). Had my kicked landed, I'm fairly sure things would have ended there and then. But "had" is the operative word. After I missed twice, my attacker swept my supporting leg and I ended up on the ground in a very humiliating way, copping a beating that ended only when my attacker was pulled away by others. Only after direction and distancing have been mastered do I insist on realistic speed and commitment. Until then, the application of the latter is premature – and dangerous. Then there is the matter of your training partner's experience. You might well be prepared and able to go full speed / full force, but your training partner might not. Some consideration is necessary for his or her ability and experience. Accordingly, "keeping it real" means keeping your training as real as practicable in the circumstances. This means different things in relation to different students. I know that students who are "combat-minded" often want to start "fighting" with "realistic resistance" from day one; young men in particular are competitive by nature and want to "get in there and mix it". But when it comes to a complex skill set, this is an unrealistic expectation. It is a bit like wanting to drive a golf ball straight to the green in your first golf lesson/match. You can add as much "oomph" as you like, but you're not going to get anywhere in a hurry (except by luck). Put another way, it is a bit like expecting to glide down the front of a wave and through a tube – when you've never even tried surfing before. I can give you a million more examples but the same truism emerges. And, as I previously noted, the complicating issue with martial arts is that brute force (as opposed to skill) can (and usually does!) play a pivotal role. But you didn't come to a martial arts school just to use brute force. Presumably you came to learn a specific skill set. 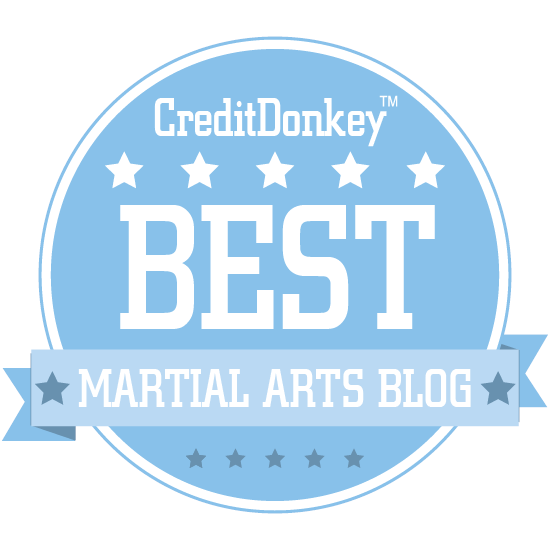 That is certainly what martial arts training is all about: how to get an advantage via greater skill (perhaps off-setting smaller size and stature). 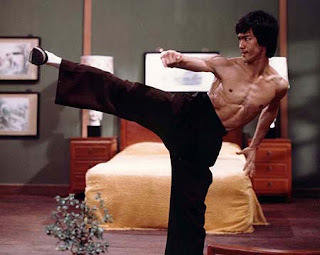 Whatever your goals in martial arts, you want to keep your training real in this sense – ie. you want to keep it honest. I recall hearing of a taiji teacher who promised that he could enable even his oldest, weakest students to "beat Mike Tyson". This is nonsensical and irresponsible, if not delusional. On the other hand, I know many health-focussed taiji teachers who say things like: "You might use this for defence in this way" without promising that the students will be able to do so. And for students training in that school or class, this is quite okay; they aren't going there for "fighting" but for a very different set of reasons. The fact that the class isn't focussed on realistic application is fine by them – and with me. Accordingly, is there any argument for one to "test" one's teacher? I don't think so. The argument is, instead, for teacher and student alike to "keep things real" – ie. honest. My own teacher spends a lot of time on correct form, but I don't see this as a "failing" – it is precisely what I want to learn from him. I don't go to him to "test" my skill – or (perish the thought) his! I have enough knowledge, gained from a variety of schools over 3 decades, to know that he teaches movement I want to learn. I want to learn it for multitude of reasons, only one of which is that I have good reason to believe it will add to my "toolbox" of practical civilian defence skills – an addition that complements and builds on my existing skill set in a more advanced way (in kinaesthetic and motor learning terms). If you went to study with my teacher and you wanted "combat-ready skills, right now" it wouldn't just be in bad taste to "test" him (or his other students) through constant sceptical questioning, push hands, free sparring etc. – it would be dishonest. Because you should already know that what he teaches doesn't match that description (most people would make suitable enquires beforehand, particularly if the subject matter is taiji). And if you didn't know beforehand, you'd soon realise after a few minutes not to expect hard sparring. Going back to the beginner at the start of the article, how can he or she know things are being kept "real" at his or her new school? The same as he or she could in any other activity: by honestly and sincerely maintaining an inquiring mind; by evaluating (ie. "testing") the skills being taught logically, methodically and safely by reference to the student's own goals and objectives – and without egotistical motivation; by using common sense. Over the years I have made my own judgements along these lines, and I have done so on the basis of evaluating data logically and in the context of whatever experience and knowledge I had. I don't need to start sparring with my (older) teacher as part of this process. I can and do "test" the material in any number of ways. And I wouldn't still be studying with him if I didn't feel it had passed these tests conclusively. Nor would I be studying with him if I felt he didn't keep things "real" - ie. honest - in relation to the knowledge he gave to me. 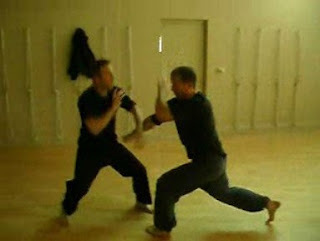 If you were to train with me, perhaps what I do wouldn't have enough martial application for you. But I would be up-front about everything. I don't run an MMA class. I don't train just for "fighting" but for any number of other reasons. Accordingly, my classes aren't always focussed on sparring and application. Sometimes (particularly in the internal arts class) they focus on form alone. This appeals to some and not to others. Some want more martial application, some less. But in the end, I don't "lie" to people. The classes are what they are. You will have to make up your own mind whether they meet your needs. I won't kid you that you'll beat Mike Tyson. But at least when we do applications I will try to demonstrate them all – with as much honesty as I can – so that you can evaluate the technique based (as much as possible) on my performance (and not my words). In this context, I will note the my own limitations as well as those of the demonstration/application environment. I won't try to distract you from these with flashy zombie slap-fests or mentalist trickery. I will answer your questions and I will demonstrate where necessary to clarify issues. And if you raise a good objection to something I am teaching, guess what? I'll change what I'm teaching. That's precisely what I've been doing for my entire career. I won't be clinging doggedly and desperately to "the old ways" just because they are the "old ways". "Ikkyo" is a good example of my own changes to techniques taught to me - based upon honest feedback from students. But if you try to "test" me through continual, sceptical questioning (the answers to which are never sufficient) or if you keep trying to "muscle" me in sparring or in some other limited drills, guess what? I'll be asking you to leave – whether or not I accept points that you might make. Because sincere and honest inquiry is one thing. A confrontational or distrustful attitude is entirely another. And to me, the concept of "testing" me comes with that attitude; one that is entirely inconsistent with a student/teacher relationship. 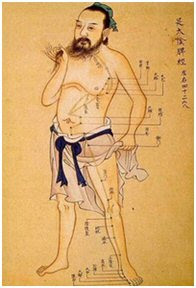 So if you're ever tempted to carry out such a "test" on your teacher, look first to your own reasons; ask yourself whether it is genuinely and respectfully based on resolving some sort of "technical question" or whether it has instead to do with your ego – "proving" that which you already consider largely self-evident (and which you intend to "make evident" to the teacher and others). Ask yourself whether you're doing anyone any favours by hanging around that school. Because "keeping it real" means being honest – to your teacher, your training partners and, ultimately, with yourself. One of the common things I notice is that people unconfident at fighting range will do one of two things. 1. They will not look directly at the target, so will always hit off center. 2. They will find ways not to get up close and personal, the range at which they can do actual damage, because they're afraid of doing actual damage. In the first situation, I notice it alot when people block strikes with a staff or sword. They are always looking at the sword, so they sometimes end up blocking just the sword. Meaning they are attacking the sword. I can make the tip or edge of a bo staff go beyond human blur sight, and I'm not particularly strong in that department. Looking at weapons isn't going to do much for a target. So I tell people to look at the target, the person they are going to cut, straight on. They are striking there, not way out over here. Use peripheral vision for all the blurry stuff happening outside the center line. For range, people almost always end up too far away to start with. Trying to get them to close in can be difficult, since the natural inclination is to seek defense, not offense. 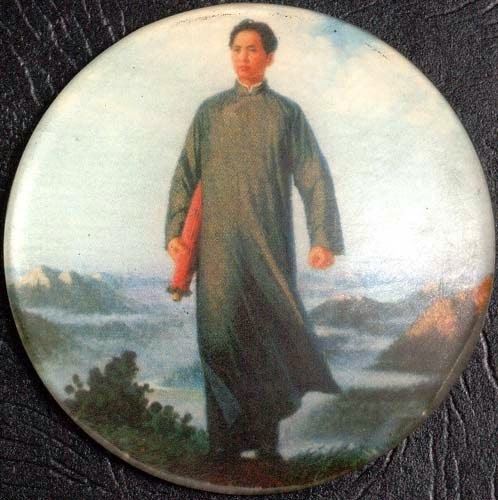 The body can learn many techniques but if the mind lacks the courage of the heart and the will of fire, nothing much gets accomplished. Given the sad state of affairs for H2H abilities amongst Westerners and street hoodlums, that's not saying much for overall effectiveness all in all. I've found that watching two people demoing from the side isn't nearly as useful as watching how someone moves as they are defending or attacking me at range. I get to use a lot more of my visual perception abilities than would be the case for side scrolling pictures. It is a bit strange that all videos about demonstrating techniques show it from a side perspective, rather than a first person perspective, even though the technology is there for it. I see I should have read this article before posting that comment on your other one! Fundamentally, all types of training has to be incomplete, in order to transfer knowledge about reality without putting people at the same risk as if they went and tried out stuff in battle on their own. Thus training methodologies deliberately take something out of the equation that makes the product whole. 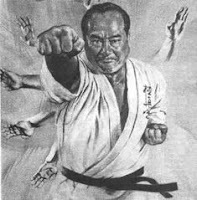 In some cases, such as kata, it takes away the target, it takes away follow through, it takes away initiative via imagination. In other cases, such as MMA, boxing, and sport karate, they take away the penetration through follow through and they take away the targeting, in order to avoid organs and nerve clusters. In boxing, they even take away impact, through the use of push focused gloves that absorb shock, thus requiring more push to transfer energy. Before boxing used gloves in matches, one of the top boxers accidentally killed his opponent with a strike to the chest (presumably heart area or solar plexus). Boxing technique and efficiency was being advanced to the point that it was equal to lethal force methods used by the ancient Chinese. Then boxing gloves completely cut off that line of technique and made it worthless in terms of power generation or offensive effect, since large gloves can also be used as a shield. Students cannot figure out certain things in training if they don't understand this particular foundational concept and what it is their training specifically takes away or adds in. 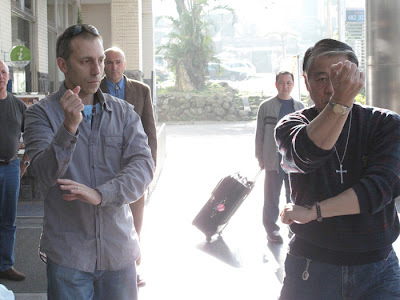 As Dan demonstrated in nikkyo holds (where the wrist is in a handshake position and the fingers forced to point straight down) in his videos about ikkyo, he takes away the speed component, thus avoiding incidents where people are jerking around, luck hits the leverage points, and something snaps. Thus the speed also regulates the power, to avoid incidents. This has the benefit of acquiring a specific target and it invigorates the mental imagination and visualization of the joint leverage. 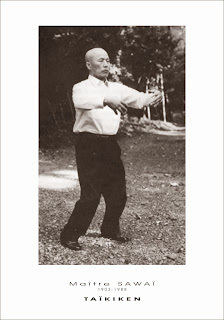 Generally speaking, arts like Taiji Chuan that utilize mental perception and concentration for training improvement, will utilize slow movement methods over other training methodologies. 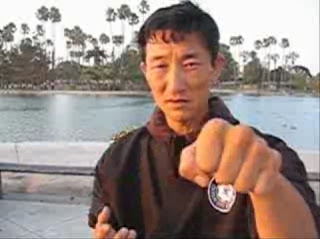 Sports, hard martial art philosophies, and things designed to let the bigger, faster, stronger guy win, will normally focus on increasing the speed, but taking away targeting or using pads to absorb impact or somehow ensuring the force from the speed/impact does not produce an injury (the result warriors look for). This lets people safely practice their athleticism, without the cost of maiming or crippling. But it does not produce the skills required to access and locate human organs and destroy anatomical targets with precision, using the least energy expended. Nor is it particularly useful to those getting older, slower, and more prone to injury and slow recovery. What people should have figured out, however, is that they never needed to keep randori and sparring within the sport/speed paradigm. All they had to do was change the paradigm, by combining the free form movement of sparring, with the slow movement and control of one step two man pre arranged katas. I've seen this paradigm being changed and challenged, but usually only by Westerners that have started coming up with their own ideas of what H2H is and should be taught as. The specific individuals in question are Tim Larkin's team, Iain Abernethey, Jin Young, Dan here, Rory Miller, Tony Blauer, and various others who I have yet to research fully. What makes them distinct is that they didn't come from the same place, their training ideas and methods are very different and strange, yet all share a fundamental aspect in efficiency and effectiveness. They don't even train for the same goal, so to speak, yet the training methods they use are easily transferable. Thanks Xin for your comments on the other article and Ymar for yours above. They both add value to the discussion. Yahoo Answers is a great place to learn about how old and new users of H2H treat sparring. I got a very large spectrum of data about all kinds of people. I'm glad if others find the data collection useful as well. 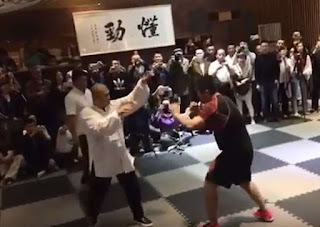 One friend, who runs a Self defense home business, kept going around JKD seminars when he moved, and people in sparring kept doing strange things to beat him, like cheating, making it a real fight, or doing things that the instructor can't see to call it off. So he, with a history of real violence and fights, returned back to the instinct of survival and sent em 3 times to the hospital, 1 of each when verbal negotiation failed. One was a barrel roll unto their knee as they came forward, damaging the tendons or ligaments there. Another was a solar plexus penetrating strike, that damaged the lower lungs and diaphragm. Not sure what the other one was. One such incident came because a high ranked BJJ was getting beat by this friend in sparring, and the audience egged the BJJ guy about getting beat by a rookie, so the BJJ guy decided to up the ante for ego's sake. That didn't end too well for him. With better grasp of self defense methods and control, he wouldn't have had to go that far, but that was what his survival instincts were telling him, because the intensity of the spar was generating real fear. And some people react in very unique ways to real fear. Not at all what most would expect. Unlike guns and swords/weapons externally, you can't tell whether that guy or woman knows lethal force H2H techniques, until you somehow end up in an altercation with them. So every time someone puts their hands on someone else, it's like they are playing Russian roulette with their head on the line. Weapons, even concealed, can be detected. No such thing as the eyes of a killer to detect, at least not until it is too late. For those seeking to use sparring as not just a test of athleticism and strength, they might wish to consider placing artificial limitations on the students. Have the better student practice only defense and evasion, have the worse student practice 1 offensive technique, and that is it. Then have them figure out how to use the technique from the various weird angles and positions they get into. People can get very good at copying a set routine in a two man drill that always happens the same way. This, however, is only an illusion of skill. They become very good at A, but battles are not just about A. They do not truly comprehend the material until they can derive the right answers in any situation whatsoever, no matter whether it was expected or not. Dan's aforementioned kitchen sink free training is also part of using one's inner child to adopt a killer reflex. As an instructor for many years, I have also had my share of students "testing" me--obviously not in line with common martial arts courtesy. When such "testing" occurred during sparring practise, I have found it necessary to put the aggressor in his place by going harder than I usually would with students. It is unfortunate, but it served a purpose because usually the students became much more respectful afterwards. I wonder how much such "testing" of an instructor is just out of curiosity of the instructor's real ability. I'm by nature not a very aggressive, competitive person and I have also retired from competitions long ago, so students hardly ever have an opportunity to see me "fight" -- because I also obviously keep my intensity in check when sparring against my students. I know that one young man that who "tested" me did so for this very reason -- he confessed to it afterwards. Regardless, it is still quite disrespectful. The coaches of the great athletes in the world are not by defauly themselves great athletes at that time -- they merely have the knowledge and experience to guide the athlete to higher levels. For instance, Mike Tyson's coach (whoever he is or they are) is not more skillful than Mike Tyson, but had the knowledge to guide Tyson to become the skilful boxer he is today. The same is true for the martial arts. Instructors are not necessarily more skillful than their students, but one would suspect more knowledgable.